Product prices and availability are accurate as of 2019-04-20 02:30:11 UTC and are subject to change. Any price and availability information displayed on http://www.amazon.co.uk/ at the time of purchase will apply to the purchase of this product. 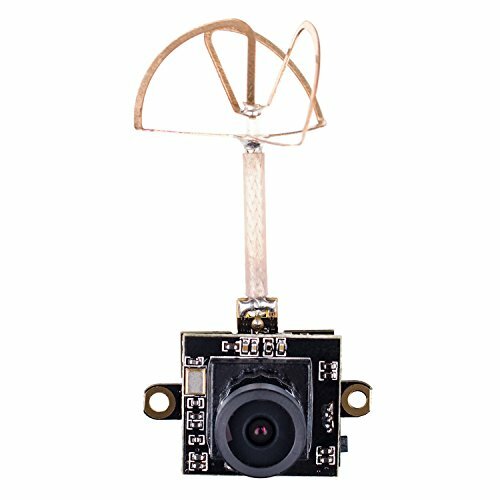 This FPV camera is a micro-size and ultra-lightweight all-in-one device, integrating a 5.8G 25mW image transmission module of 40 frequency points and an 800-TVline (TVL) camera. 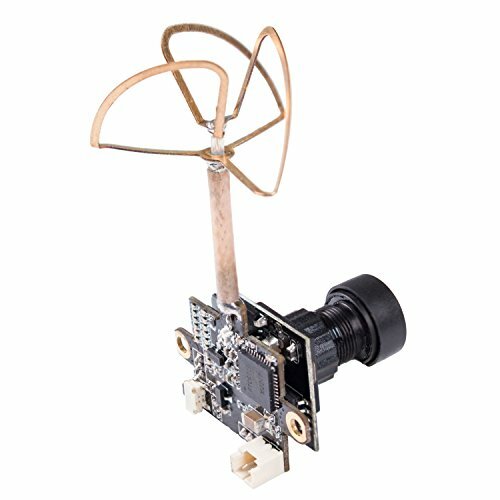 It's already soldered with a 3-leaf-clover antenna, with NTSC and PAL available. 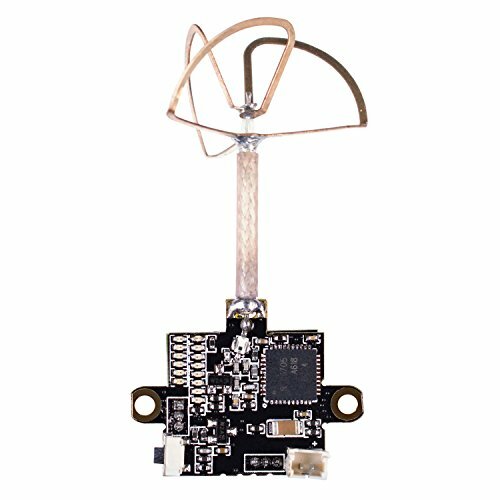 In addition, a 1S lithium battery is enough for powering, so you do not need a boost module. 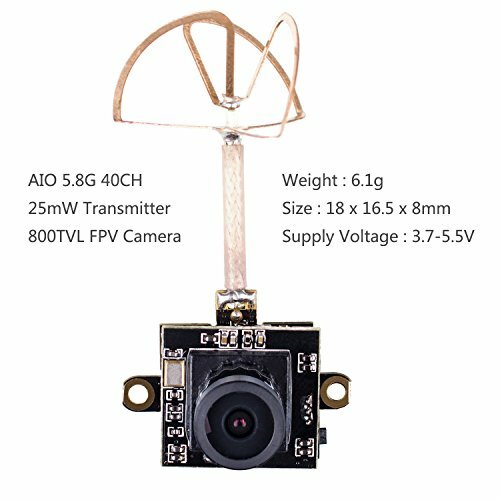 The FPV camera has the advantage of low power consumption and is easy to install, which is perfect for small or mini racing drones/aircrafts. In addition, you can get a good performance of image transmission even when it is racing on the other side of the wall. 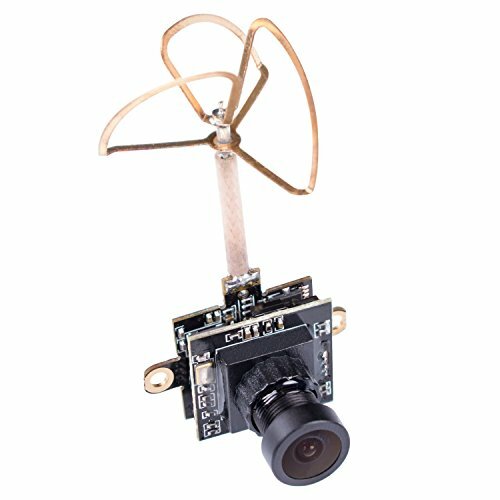 An all-in-one 5.8G 25mW VTX 800TVL CMOS camera with FPV RHCP circular polarization clover leaf antenna. Supports 5.8GHz, five bands including Raceband, and 40 channels. Includes a control button to switch channels, and supports video output in NTSC and PAL. 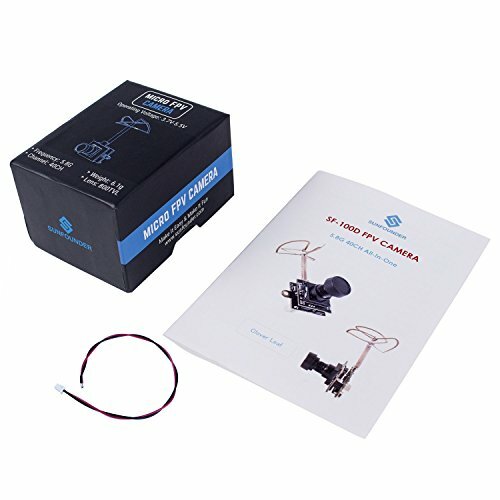 A 3.7V 1S lithium battery is enough for powering, needless of the boost module - power supply: 3.7V - 5.5V Easy to install, plug and play.